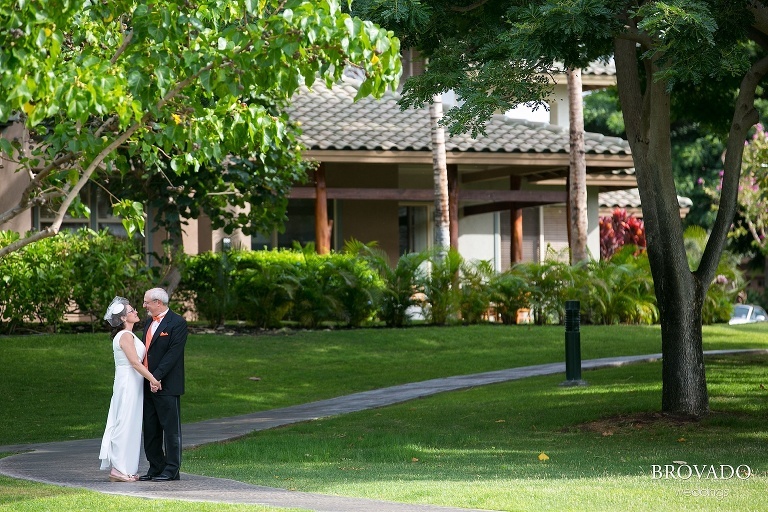 One of the highest compliments you can get from the mother of the bride is when she books you for her own Hawaiian destination wedding! I flew over from Maui to the Kona side of the big island to work with Penny and Alan. It was a wonderful reunion with previously clients Lauren and Jason, and the rest of their family! We had a great time laughing with their family in the condo that they had rented before the two wed below a chuppah on the beach. These two had the most beautiful orange and pink wedding flowers, giving a tropical flair to their otherwise classic wedding attire. I jokingly said that one of the other sisters should get married so we wouldn’t have to go so long before weddings. Little did we know that we would be at Allie and Brian’s wedding just the next year!